Berry. You guys, it's a love affair. I can't stop loving everything berry. Give me berry, any berry, and I am sold. 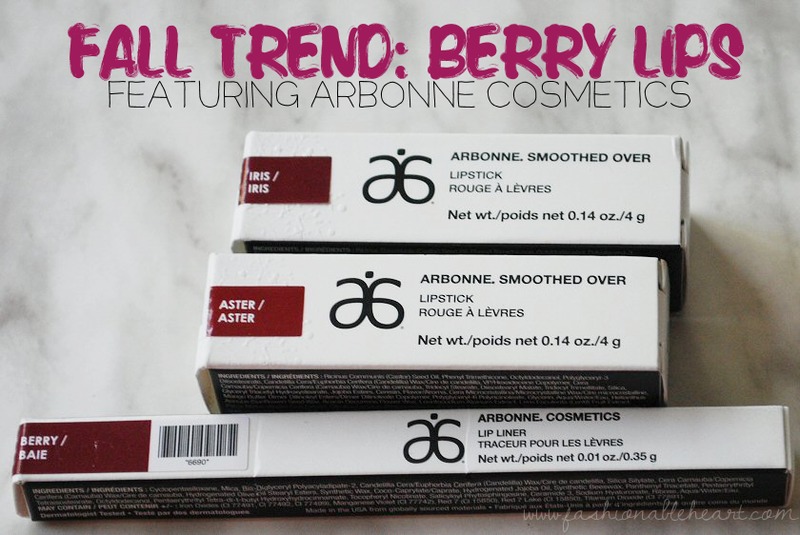 Arbonne is touting these as the 90's lip trend of statement lips, but I usually think more about brown lips for that trend. I went through that phase the first time it was around and I'm not about to go through it again. Brown did not work for me, especially when I paired it with bright blue eyeshadow. Oh 90's Wendy, what were you thinking? But these berry lips? That's a train I'm willing to board! 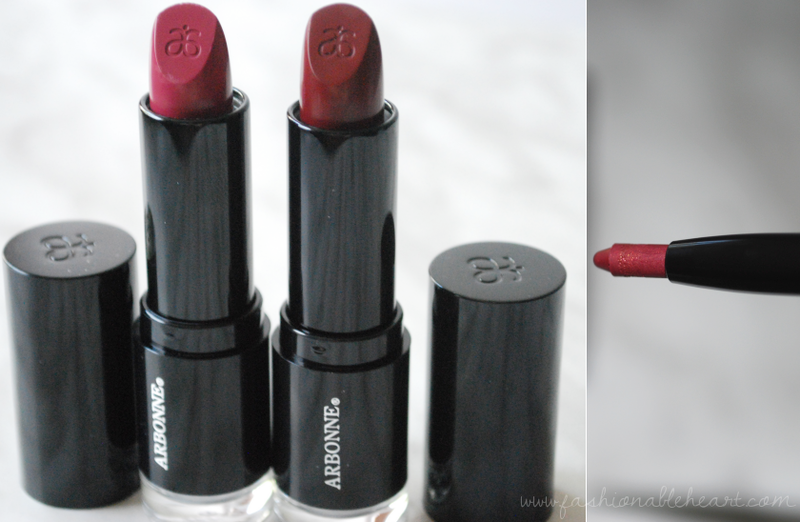 Keep reading to see what I think about these lip products and my swatches of them! Left to right: Aster, Iris, Berry. Iris looks like a dark reddish brown in the tube, but it swatches in the purple family on my pale skin. Some swatches I've seen on other skintones do make it look like a darker reddish berry. On me, Aster leans towards mauve. An easy everyday color. The Berry lip liner has just the slightest hint of gold shimmer and is very soft. It's a twist-up, so no worries about having to sharpen it. 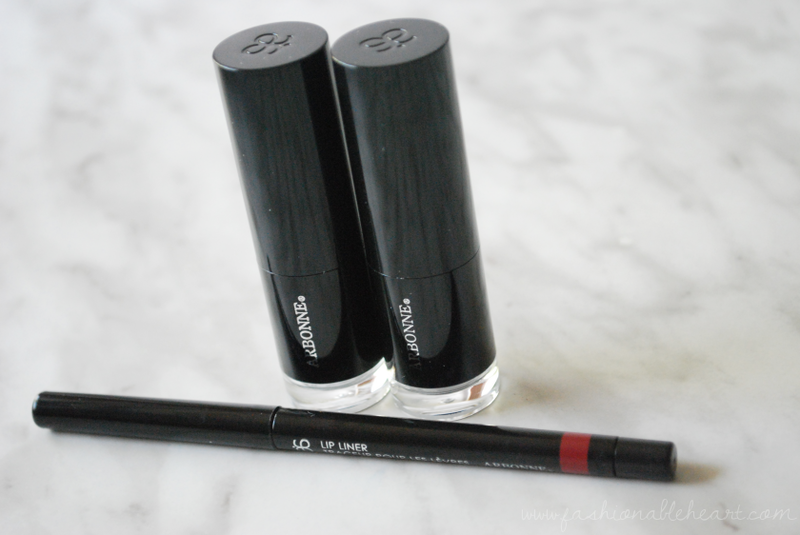 The Smooth Over lipsticks go on creamy and feel moisturizing on my lips. They have a slight fruity scent in the tube, but it does not last on the lips. And I get a strange feeling of satisfaction when a lipstick tube has a strong click when you close it, and these do that. It would take a lot for the top to come off of one of these while they are in your purse or cosmetics bag! Left swatches top to bottom: Aster, Iris, Berry. 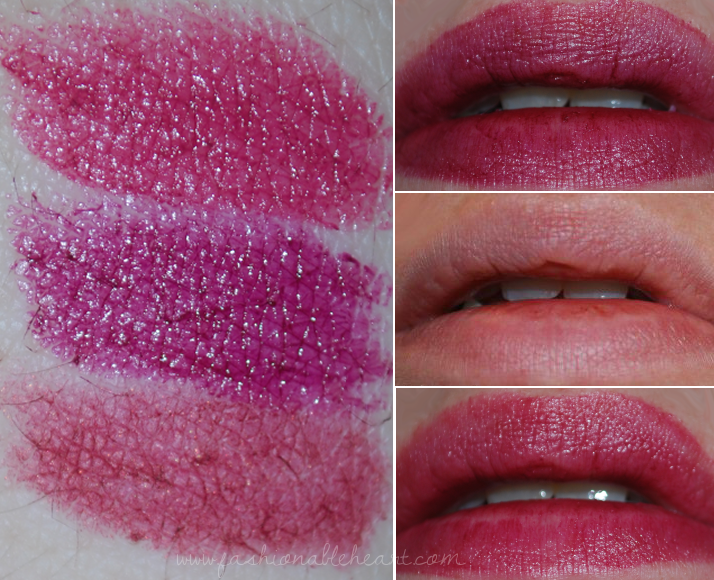 Right swatches top to bottom: Iris, bare lips, Aster. The Smooth Over lipsticks come in 16 different shades, while the Lip Liner comes in 6 shades. Both formulas have hyaluronic acid to provide moisture and helps reduce the appearance of fine lines and wrinkles. They also have peptides to increase the look of plump lips. The lipsticks are $28 US / $34 CA and the lip liners are $24 / $28 CA. **These were provided to me for testing and reviewing purposes. All pictures and thoughts are my own. I am not being paid, nor are there affiliate links in this post.